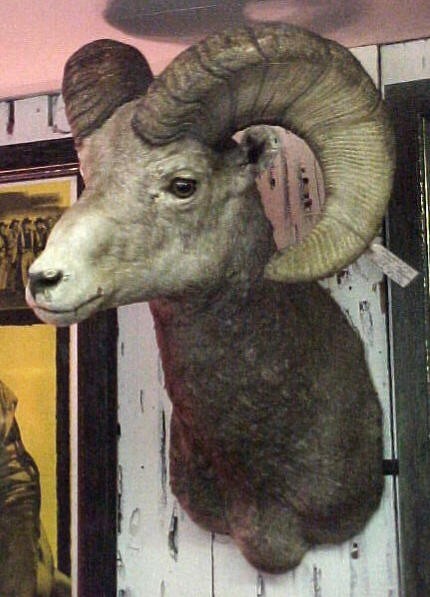 This Big Horn Sheep was shot on horseback in on Pikes Peak, Colorado in 1915. It is a wonderful old mount signed on back by the hunter. Great for Western Room or Log Cabin Home. This Big Horn Sheep was shot on horseback in on Pikes Peak, Colorado in 1915. It is a wonderful old mount signed on back by the hunter. Great for Western Room or Log Cabin Home. Please email cowboycabin@centurytel.net with questions or call 406 270-2842.